This harmonious mix of beautiful nature, rich history and genuine hospitality has been attracting visitors for centuries. It was here that the Yugoslavia Royal Family once had a summer residence, later replaced by the summer residence of President Tito, which can still be seen by the lake. 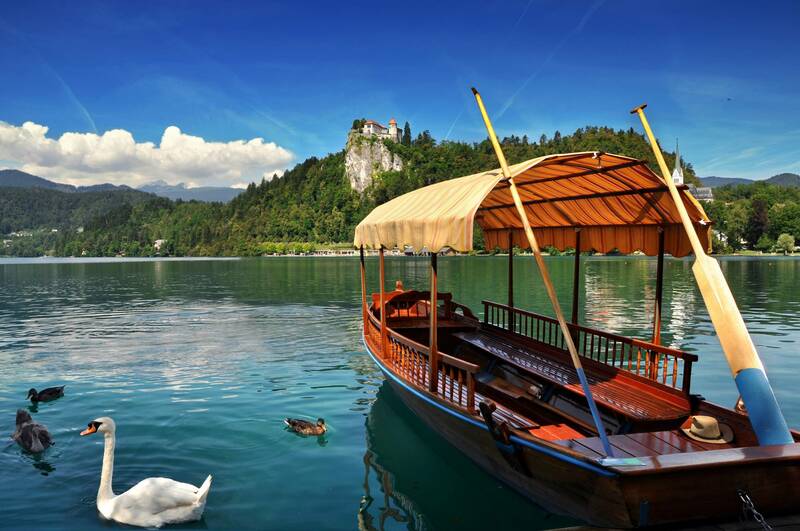 After an enjoyable drive, we can board a traditional ‘pletna’ boat and smoothly glide over the lake to visit the only Slovenian island. Its top is crowned with a little church, and you will have an opportunity to ring the mysterious wishing bell. A scenic road takes us around the lake and to the medieval castle perched high on a cliff. Built over a thousand years ago, it was once an unconquerable property of the Bishops of Brixen. 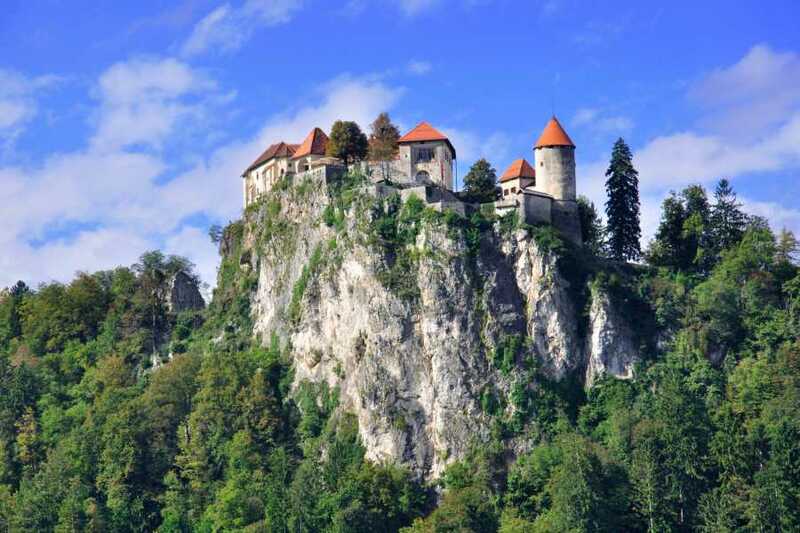 Today, it attracts visitors with its museum, and demonstrations of old crafts and traditions, not to mention the breathtaking view of the surroundings. 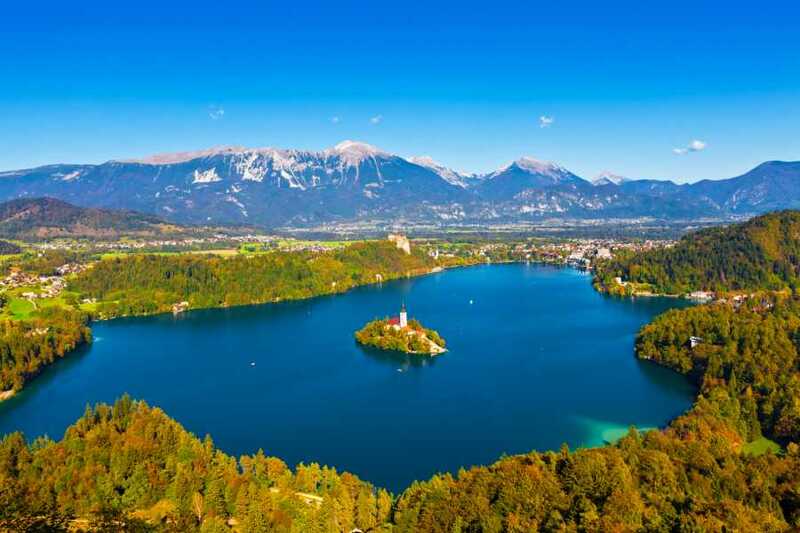 Before returning to Ljubljana, enjoy a stroll by the lake or treat yourself to the famous Bled cream-cake. The tour is private so the sightseeing stops can be agreed with your guide.